DeMarcus Cousins is a man who has never been shy to speak his mind, and when he is frustrated, he's great value for an interview. The Kings fell at their new home, the Golden 1 Center, again last night as the Memphis Grizzlies came to town and left with a 112-98 victory. That gives the Kings, who currently occupy eighth spot in the west, a record of 14-19 overall and 7-7 at home. Boogie, who led the Kings with 26 points, eight assists, five steals and four rebounds, saw his side let Memphis knock down a franchise-record 17 three-pointers and he had plenty to say in the aftermath. “At the end of the day, it comes down to you just having some type of pride, dignity in stopping your man,” Cousins told reporters. “That’s what it comes down to. Forget a scheme, forget a rotation — one-on-one, I’m going to make sure I stop my man. I’m not going to let this guy drive past me or into get in the lane and create something for somebody else. "So until we’re ready to buckle down and do that, guys are going to continue to kill us from behind the 3-point line, guys are going to continue to get in the paint and get what they want. Teams are going to come in here and run us over." 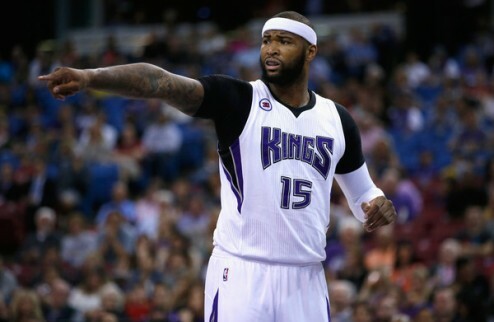 This isn't the first time Cousins has cut a frustrated figure in Sacramento, and he made it clear he is getting tired of feeling this way.